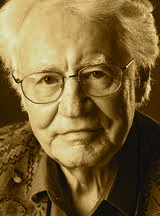 A Year of Being Here: Robert Bly: "Watering the Horse"
That has just fallen on the horse's mane! 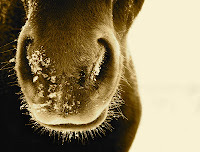 Watering the Horse" by Robert Bly, from Silence in the Snowy Fields. © Wesleyan University Press, 1962. Photograph: "Snow Horse, Up Close and Personal," by Kelly Angard (originally black and white). This is one of my favorite poems which I learned in High School in the early 60's. It was presented to us as an example of haiku written by an American poet.